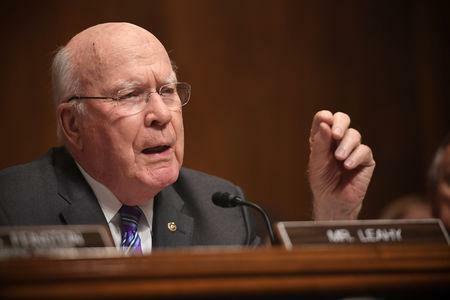 WASHINGTON (Reuters) - U.S. congressional negotiators were working into the night in hopes of striking a deal on funding border security programs through Sept. 30 and averting another round of federal agency shutdowns, Democratic Senator Patrick Leahy said on Monday. Leahy and Republican Senator Richard Shelby spoke to reporters during a break in private meetings. "Senator Shelby and I ... both agree that if we can wrap this up tonight, do it tonight, not go over to tomorrow" with negotiations. "We're talking about reaching an agreement on all of it," Shelby said.